We are so proud to announce that Indivisible49 has endorsed Mike Levin! By an overwhelming majority, 95% of the votes were YES for endorsement. More details coming soon on the official announcement date and event. Nomination hearings are scheduled to start soon and we need Senators Feinstein and Harris to persevere. Keep calling! 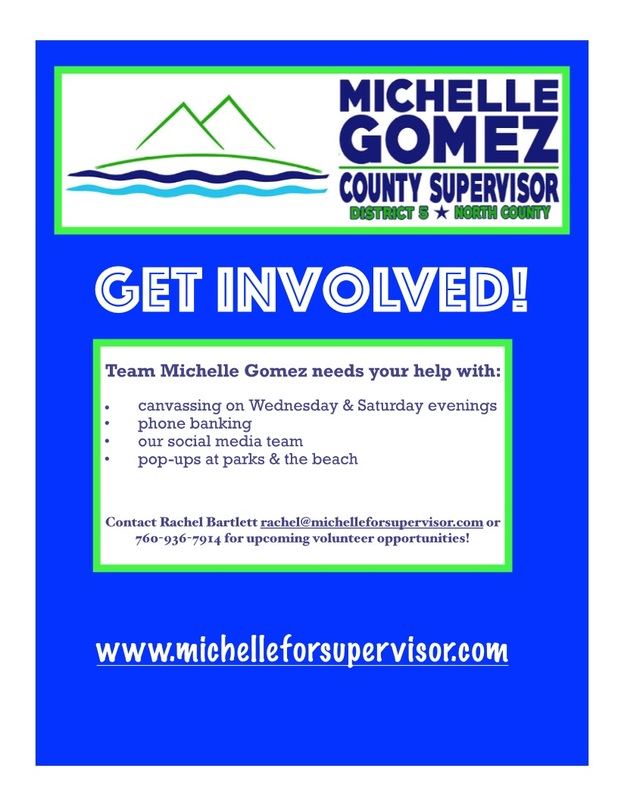 Michelle Gomez is running for County Supervisor in District 5, and she needs your help. 8/21 - Oceanside House Party Meet Our Next Congressman! Consolidated calendar of events hosted by local groups covering our district..